Visit the Federated States of Micronesia to experience life on its 607 small islands, scattered across more than 2,600,000 sq km (1,000,000 sq mi) of the Pacific Ocean. These tropical lands dotted in the sea formed as the result of volcanic activity millions of years ago. Today, the four states each have their distinct culture, but share a common ideal of sustainability coupled with an abundance of biological diversity on land and at sea. Enjoy the traditions of the welcoming Micronesian people, and travel between the islands to observe their similarities and differences. 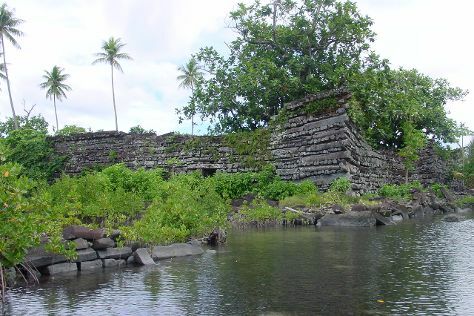 A Micronesia holiday offers true exploration, with points of historical, biological, and cultural interest. Federated States of Micronesia is in South Pacific. Put Federated States of Micronesia at the heart of your travel plans by using our Federated States of Micronesia trip planner.